This weekend has been pretty busy with attending graduations and just trying to keep up with life in general LOL. Though, I did have some time to try out new designs that I will eventually put up on Etsy. I start out this DIY project like all the other choker DIYs I’ve made; the difference this time is I’m not using a charm but only another piece of suede cord and a few jump rings. 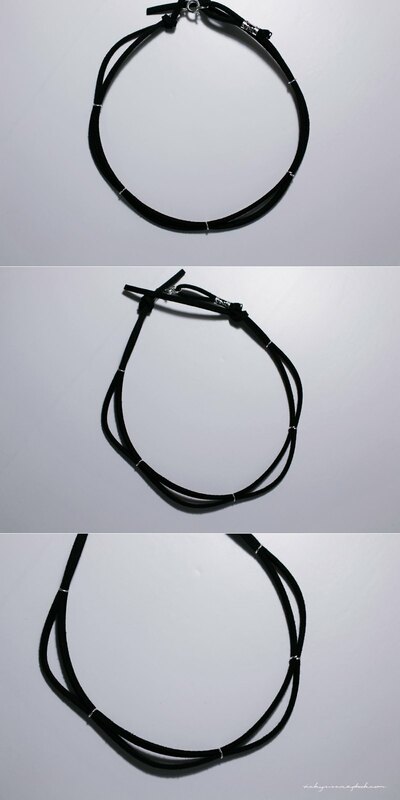 I tied one end to the choker and began pulling at the different sections between the jump rings. Once I had the desired loop sizes, I simply tied the other end. 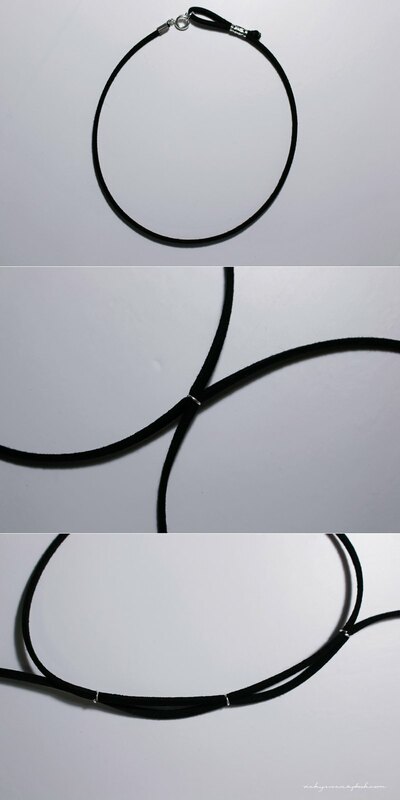 I chose to make smaller loops because I think this gives the simple choker a different texture without being overdone. Ooohh the looped one is a bit more casual than the ones you made previously 😀 I like it! Haha it’ll be perfect for the summer ❤ And yes, so many graduations this past weekend O.O Makes me miss school a lot! I enjoy love these chokers. It is very nice during this season.